Users of virtual environments interact with the environment and with other users through an avatar that is under their control. The avatar is distinct from, but related to, the user. This creates a complex relationship which the audience members at the Mental Health Symposium will be experiencing during the conference. Dr. Bowman is an associate professor at the Interaction Lab of the Department of Communication Studies, West Virginia University (US). He views entertainment technology as a place for learning and community discourse. He researches how communication technology such as video games and social media affects the way we interact. Dr. Bowman will discuss different mechanisms by which users associate with and understand their on-screen avatars. These different mechanisms might have very different emotional components and outcomes. During the presentation, audience members will be asked to actively share their thoughts and experiences with their own avatars. Members of the military, both veterans and those in service, and their family members deserve the most effective treatments for deployment- and combat-related PTSD, sleep disorders, depression and suicidal ideation. 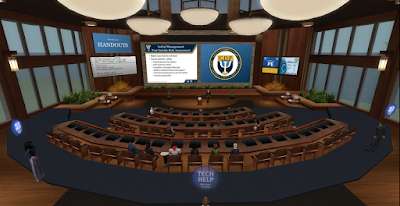 The Center for Deployment Psychology (CDP) at the Uniformed Services University of the Health Sciences in Bethesda, MD (US) has piloted virtual-worlds based training programs for mental health providers serving this population. 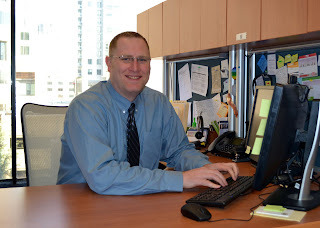 Dr. Kevin Holloway is the Director of Training and Education at the Center for Deployment Psychology. 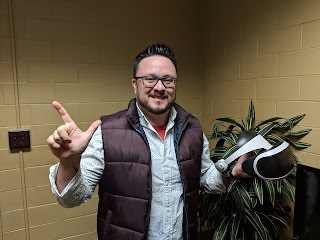 A licensed clinical psychologist, he is particularly interested in technology solutions, including using virtual worlds to improve access to and quality of professional training. Dr. Holloway’s presentation at the Mental Health Symposium, “Virtual World Training for Mental Health Providers,” will be held from 2-3:30pm Pacific on Friday April 26. He will discuss CDP's synchronous and asynchronous Second Life training models and environments, and preliminary outcomes data regarding effectiveness. Following Q&A will be an opportunity for the audience to tour two of CDP’s Second Life facilities, the Snoozeum and Operation AVATAR. These sites augment live, instructor-led, virtual training workshops for mental health providers learning evidence-based psychotherapies (EBPs) for insomnia and post-traumatic stress disorder (PTSD). The Entertainment Software Association’s 2018 Essential Facts About the Computer and Video Game Industry reports that over 150 million Americans play video games, 60% of them playing daily. Video game play has been shown to provide cognitive benefits, improving basic mental abilities such as attention and executive functioning. However, there is also a negative side to video gaming. In 2018, the World Health Organization (WHO) identified “gaming disorder” in the 11th Revision of its International Classification of Diseases (ICD-11). 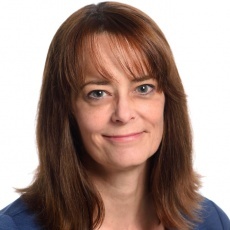 Dr. Michelle Colder Carras’s presentation, titled “Video games, social interactions, and mental health: Benefits and problems,” will be the 1-1:45pm (Pacific time) session on Friday, April 26 at Virtual Ability’s annual Mental Health Symposium. Dr. Colder Carras is a public mental health researcher and informaticist who specializes in healthy and problematic media and technology use. Her most recent work has focused on how commercial video games can be useful for suicide prevention and improved mental health. Dr. Colder Carras will discuss the importance of determining the context of game play in deciding if it is helpful or harmful. She will examine both online and offline social interactions by video gamers, and will discuss both potential therapeutic benefits and problematic issues related to gaming. Do teens know when they are bullied on social media? Teens spend a lot of time online, texting and digital messaging each other. Unfortunately, this high level of connectivity can lead to “potentially troubling and nonconsensual exchanges,” according to a recent Pew Research Center. This report states that 59% of US teens have been bullied or harassed online, mainly through name-calling and rumor-spreading. Schools offer lessons on how to handle being bullied. Out-of-school programs, such as the Boy Scouts and Girl Scouts, are equally concerned about the problem of bullying. The final session of Virtual Ability’s 2019 Mental Health Symposium from 5-5:45pm Pacific time on Friday, April 26 will feature Dr. Taaha Shakir. 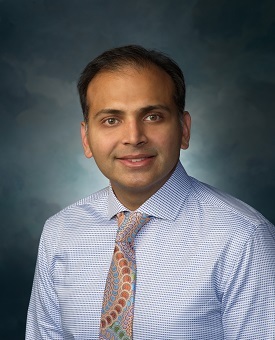 His talk is titled “Do our adolescents know they are being bullied?” Dr. Shakir is a pediatric hospitalist at Edward Hospital, in Naperville, IL (US). Dr. Shakir’s current research on the impact of social media on teens assesses the reasons for its negative effects. He fears that the healthcare community has not dealt well with the growth of technology that led to cyberbullying. The goal of his work is to create solutions that will improve teens’ ability to identify and work through stressors in their daily lives and that will assist healthcare providers to identify and support victims of cyberbullying.